Join us Kinsmen of the World! Create a gathering, see many artists, activities and sacred journeys. Join us as we integrate the world as One family. Complete the Sacred Circle and Rejoice to the Returning! Indigo is the perfect six sided crystalline structure of the soul body, multi-colored each of us have. We can all fly, when we dream. 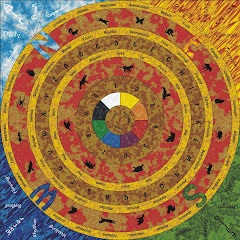 The Indigo person is often a prophet and great teacher who lives with visions and conflict. Most of us do not live our lives like this. Indigo represents our Soul body. An Indigo Person is a Great Warrior and brings to us the inner reflection towards truth! They inspire you to enter your Vision Quest. Indigo (perfect soul body). Crystal is the perfect six sided crystalline structure of the Physical Body,a powerful and loving being who gifts,the actions of your dream. The Crystal person is reader of the book of life, the sacred four directions, who speaks directly with God and interprets the absolute truth. Crystal represents our Physical body. Most of us do no live our lives like this. Crystal represents our Physical body. A Crystal Person is a Great Warrior and brings peace through the lesson. They inspire you to become your dream of love and peace, what we often call happiness! Crystal (perfect physical body). The Rainbow Clan are the Sacred Multi-Colored Auras of the Blue in You and Me, our Relation or family. Each of us carry Four Sacred Directions. The Circle of Colors, the Rainbow reflects off the Ocean Blue. Born from these lights We are Perfect Children Within. Each of us carry a Dream seeking Love. The Path we follow are the Four Sacred Directions Written in our Garment of Lights. We belong to the Rainbow Clan. These unseen colors guide us towards our mission. This is written in your Sacred Garment of Lights, the Holy Temple, where Truth is written in the Book of Life! Only a Crystal Person can read this Book of Life. Embracing and attaining spiritual knowledge (seeking) and allowing the directional flowing (ebb and flow) of the eternal ages Reveals Greatness. A Light From. We are the Reflection of our Blue oceans and sky. Water provide us with all that life offers in Unity! Spiritual Warriors are born to be Perfect Blessings. We are coming Homeward into the Dawning! Follow the Red Road, the law of love! May your spirit fly. Aho Ah! Mine eyes have seen the glory of the coming of the lord. Today, i have a heart that is mighty and still. I can see the glory coming my way. But it is so bright it is so dim. It is so convoluted and it holds much shame. But if the light is born within the darkness then I can have my freedom and my shame lifted to soar. What are you waiting for, you tell me, I say, i m waiting for you now, let us get on this vehicle and fly high in to the sky, and let us know glory together. For the coming of the lord, is the love of the heart, the light, that shines from His Love. For Great Spirit Father embraces the folding way. The heart knows the path, and the light knows the way. If i can travel along this path, I can help my Brother my Sister and my Dad. My Dad my Great One, you have given to us much. You have been there even when i did not know you were there, but I still have times when i have hate within me, and I know that i must forgive. But how do i forgive those who do so much wrong? the way of tomorrow. We are walking the way to the woman, who tends the FIRE. So we can come home again. We can come home again. We can know joy again. We can rejoice, for mine eyes have seen the glory of the coming of the Lord. I witness your love. I shall become your sword. And we shall be Three (reflection of joy, the dream), the LIGHT of the VOICE of FREEDOM. Gifted by the Oneness of the Greatness of the Ever Flowing! How do I become a Member of Active Indigos? http://crystal-indigo-children.blogspot.com information about the site at the gathering place online. 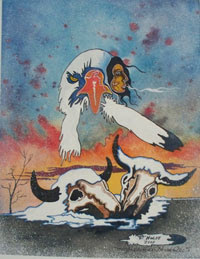 "twin deer mother" whitebuffalocalfwoman@gmail.com to communicate about gifts and start further dialogue. 4. After notification of Activism and dialog, acting moderator/s will help place the new member. Then allowed to join the activist discussion and or added to team mission at hand. New membership will be put on a three month probation period. With no contribution noticed from this member within the probation period with Active-Indigos, member can be deleted from the group without notice but can receive 3 warnings, but everyone is always welcome to stay with us at the gathering. We have periods in our lives when we are active, and we have periods in our lives when we are creative. When in creative cycle, reflection of all things are key. Your contribution will be more supporting rather than leading. For those who are walking in the action cycle, the light propels you to production and leadership. This is the cycle when you will accomplish your tasks with ease and direction. 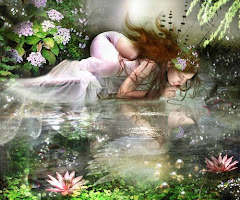 But when in the reflection cycle, to create beauty within and bring it out into the world, a birth is born, can be difficult. Each of these cycles have intention. We shall have members who are in their dark cycle or their light cycle with us at Active-Indigos. Often those who enter the dark, creative cycle, do not understand how to turn inward, when the world all around tells us to go, go, go. Especially in the world right now, when we only know going somewhere or doing something is how things get done, that we will sabotage our lives in order to keep us immobilized. This keeps us still, in the darkness and in the reflective cycle. What we want to "achieve in the world" right now, is when we enter these periods of darkness and reflection, you and your family may find sanctuary and home to live in. Here you can find beauty and creation tasks available to your every artistry, until you are ready to enter into society again. At these times you will find solace in the "vision quest" and the "gathering" (pow wow) for your incubation period of darkness. What is the purpose of this separate site Active-Indigos? Warrior Down programs are already here, but many New Age do not have any idea what this means nor even what the word Indigo really means. We are Perfect Souls, but not necessarily an Indigo Garment of light, who is the Great Prophet and Teacher. Each of us have our sacred garments of light and White Buffalo Calf Woman can read your garments of light and gift to you the resolutions you need, to acquire your Power in your Perfection. This is written in your light, "aura" as she reads your Book of Life. We are creating a movie right now, and it shall be done as soon as we can get it out to the people. There is no time to waste. However this notice is urgent and marks a beginning in time, but events will not be occurring as we thought. It is only the beginning of the shift, the shift will take years and then the actual breath of change will take another 6 months. Here Elders join together and plan the Great Migration into the New Dawning, because we may very well need to be out of harms way during the Sacred Migration. Food, housing and where to be safe will all be issues in the near days ahead. We are organizing right now, White Buffalo Calf Woman and His Holiness Running Eagle, we the house of beloved "David", walk with the Elders of A Joy Light From Within-Angel Services around the world. Integrating the Great Give-A-Way, helping others create local gatherings and have begun the Great Migration planning for all the peoples of the world. WE must not think of our selves, but practice meditation only to realize who you are, once this is done, you are who you are, the Sage, who walks out into the light and gathers with the family, the Rainbow Clan. We depend on everyone to do their part, but we also realize that many do not know how to forgive or stop their own hatred, the "warrior down". We must not depend on one writing or hearing of stories, buy we must listen to all our family around the world. Get others you care about to join the online gathering to learn how to become the Rainbow Warrrior. 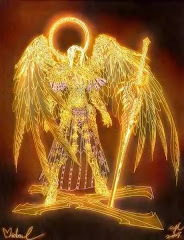 We find Elders who will become Golden Angel Warriors who walk with Active-Indigos. Don't forget we have many who have visions and our shared visions we embrace as Oneness. We encourage all who really want to walk with White Buffalo Calf Woman, must only learn to validate, negotiate and renegotiate. We are all perfect, she knows it better than most of us, and she proves it to us every day we walk with her and His Holiness Running Eagle Shooting Star. We are the Elders who support our Great Teachers and Prophets Indigos! When will this traveler come to help you see the truth? What is the function for this Yahoo Group Crystal Indigo Children? Gathering is Sanctuary, protected by Rainbow Warriors, who follow the laws of love. If you are planning with a gathering or shifting into Heavens ways "the law of love", then we will be safe. "no man made degrees will help you get out of it" Anyone who doesn't make the shift, are the ones we are going to take care of. Most of the elders do not have any college degrees. His Holiness David has a high school diploma and became the highest world educator of semiconductor equipment, and trained engineers all over the world, without a college degree. Crystal persons are considered the God of science and I, twin deer mother, have no degrees, in fact i didn't finish high school, but i did graduate with my class year at the local college, with a high school diploma for my family. Education is available to all, we must only choose it. We all study what we enjoy to study, we shall study in mentorship programs, we shall share in total democracy. When one does not understand, we wait until he does, like Father Heaven waits for Mother Earth and her children. This only happens in the elders agenda meetings, the democracy of oneness, which shall be the same as the schools of the children. "Our Star Kids are confused and in turmoil today. The current construct of our society leaves no room for them to come into their power, so they can show us the fantastic alternatives for living they are bringing to us from Spirit." says Daniel Jacob. We are preparing the new way, as the shift has already taken hold in the little children, but the Adults are not skilled and we must learn. Our high school kids are handicapped already. They have already ingrained in them the Earthly ways. We gift everything away to each other, where none are left out. Only the Gathering will save your children, ONLY THE GATHERING of the Heavenly ways will succeed for our future. We are preparing the integration of Heaven and Earth. You know many live in a hell upon earth, we call it unhappiness in the light space. And when they leave this life and enter the next they will be in hell in heaven, we call it unhappiness in the dark space. Only love will get you out, not degrees. The Gathering is the way homeward to the next phase of Evolution, the third yellow rolling hill in time. Here Heaven and Earth which was separate before now is folding together, and staying safe upon this new dawning is dependent on the following the sacred way of the Gathering. How do I receive data from the group Crystal Indigo Children? There can be many emails at crystal-indigo-children http://groups.yahoo.com/group/crystal_indigo_children or directly subscribe to this Yahoo Group. Email: Crystal_Indigo_children-subscribe@yahoogroups.com . Another thing many members choose is no email and can be viewed when they want to. This way, you don't get email, but you get access to all the data. Although, just to let you know, it is a public group and all messages is available on the World Wide Web, and another way to listen in without getting email is through the RSS Feed, http://rss.groups.yahoo.com/group/Crystal_Indigo_children/rss . Feeds range from 5 to 20 messages shorts and if you are interested you can connect and read the message. This way you can follow and not get overloaded with email. You can get your daily digest, but if you do not look within, you will only gather dust. I recommend you get individual emails if you want to learn alot. 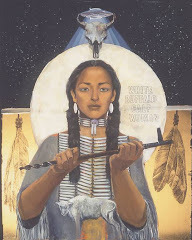 Are you subscribed to Google, you have Google Reader and Igoogle Home page, you can get linked to monthly articles from White Buffalo Calf Woman here, but will miss important warrior skill training as well as learning integration skills for your local gatherings http://twindeermother.blogspot.com but something is better than nothing! What is the purpose of this separate site Crystal Indigo Children? Gathering for sanctuary for the beloved children, all our related of God at any age! I. Promoting the local Gathering, nicknamed Club Evolution. 1. Create daily, weekly, monthly and yearly blessing ceremonies. b. spiritual penalty box leading to happiness by cleansing the heart, through blessing purification. 2. When on a computerized device, take 5 minute rest period with a 55 minute work cycle. b. physical penalty box leading to happiness by cleansing the body, through blessing purification. talk about it?” We all need to learn about love. a. age 0-2 Love is kindness. Touch gently, physically show them what kind and gentle love is. c. age 6-16 You are hurting me (or another). Love doesn't try to hurt others. Walk away carefully and Bless them. we bless them as the sacred circle of life (the hoops). II. Train Rainbow Warriors emotional intelligence and skills of Red Road. III. Recruit Elders who migrate over to Active-Indigos and be a part of leadership within your communities. and blessed from the Group Prayer. 3. “Two -Moderators” - to organize meetings and take notes of agenda, to assist young people only. a. up to four moderators: can switch as needed due to illness, scheduling or topic. 4. “Keeper” - Indigenous of all the related. Present for prayer and acts as counsel to elders. is Indigenous. eg. Native American, Aboriginal, natives who practice ancient cultures. b. This person has the title of “Keeper”. They serve as a guide to the spiritual vision quest within. d. Duties are: Show up at the meetings and listen to your heart and guide them. 5. Voting is always unanimous. This is Oneness. a. Total agreement or back to the drawing board. b. Those who oppose must speak up. You are perfect, therefore your voice carries wisdom of the ages. 6. The rule of perfection. ACTION. The simpler the better! Complicated simplicity. Let's dance. enlightenment. Take action in your community by creating a volunteer project or field trip. b. Share stories with other Club Evolutions around the world. Join us each Saturday , as Kinsmen chime in for 24 hours around the world. We invite you to participate with us, the Elders of the World, in a Global Peaceful Wisdom Prayer. We are complete when receive your Prayer Ideas! But in the meantime, visit the blog or just close your eyes and say a prayer or beat the heart for the world. We need your love too! Aho. May your spirit fly! 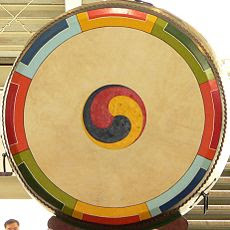 Join us at Peaceful Wisdom Prayer by Clicking on the Drum! Heaven's advocate. The Darkness that embraces our light. He is kind but wait and see if you do not behave well he will find a way for you to know the life of God. He will keep you on the straight and narrow. He will keep you upon yourself. Do not keep light in spite of spite. Be cool my friend and stay alive. WE are brothers don't you know. We have all each other in our hands. We have the power to keep us alive, but if you turn away from your family once again, then we will have to show you how to stay alive. Keep balance in your heart and never will you fade. But keep threats of promise that you made, you will find in your roads the path that you take will be unkind and heaven only knows! But I know I love you, for about eternity, but I will never be away from your side. It is only me and you, the power of the blue. The power of me and you! The power of me and you. Aho ah! Many gifts to share with You, my Kinsmen! Its time to come homeward and GATHER together around the world! Bring harmony in your home and learn how to create true Sanctuary within Community! Gather (Pow Wow) and Give Away! We must fight for LOVE . . . the law of the Red Road. Join Elders who will show you how to know Happiness and Vision. Your Hearts Dream can come alive. See you at the GATHERING. Aho "may your spirit fly"
Elder Blue Person offers us the folding reflection of our world. We Bless Her and all the Oceans of the Deep Blue of You and Me. As Elder Ambassador she offers a helping hand whenever it is needed in the community, now Global. She is the Receiving Hostess to the Peaceful Wisdom Prayer Flight each Saturday as well as provides us with Wisdom each day from the Elders of the Heaven and Earth! Aho, May your spirit fly! Offers love and prayers to all the beloved...welcome home! Welcome Home Kinsmen, where Elders and Rainbow Warriors walk towards the Great Migration. Aho "may your spirit fly"